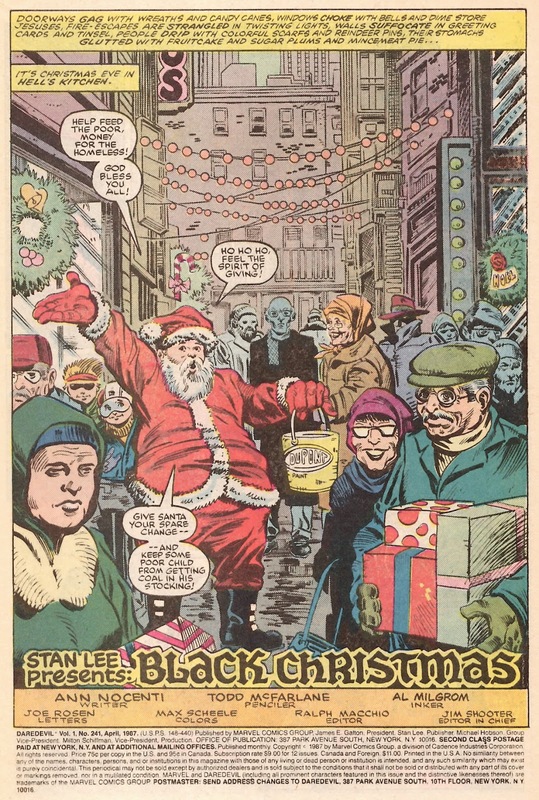 One thing you don’t want to do if you’re in New York in a 1980s Daredevil comic is dress up as Santa Claus to raise money for charity. 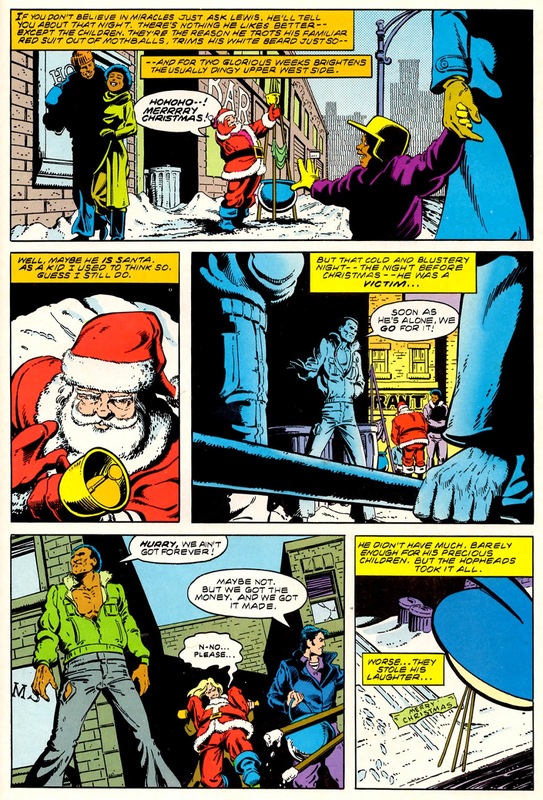 Daredevil is Matt Murdock - a blind man with radar; like a bat. He is therefore able to do gymnastics and fight with supervillains and stop bank robberies. His most ridiculous power is that his sense of touch is so sensitive that he can read newspapers by feeling the ink. Isn’t that great? I like Daredevil. I first read him when he was into his stint by Frank Miller. 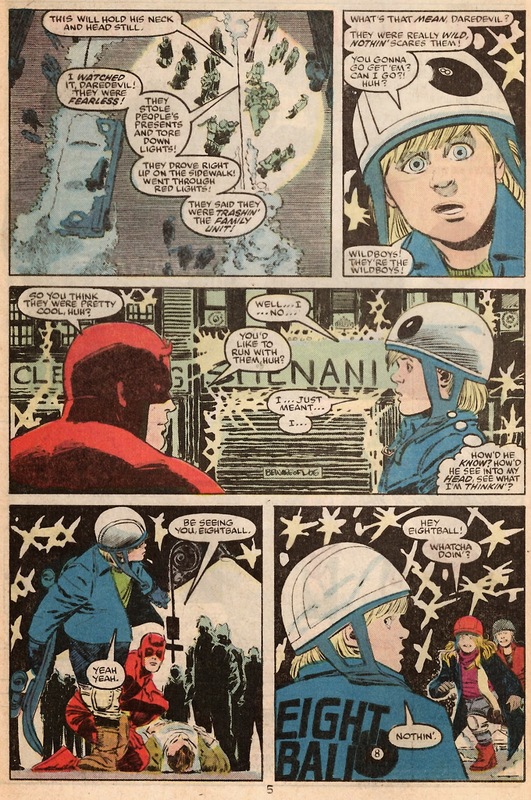 Miller wrote and drew Daredevil in a gritty nasty fashion. 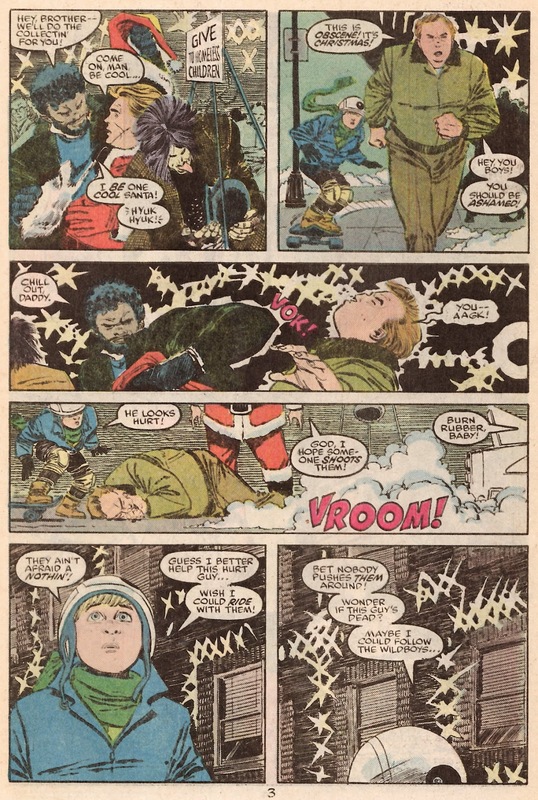 One of the most celebrated storylines of the 80s finds Murdock the victim of The Kingpin Wilson Fisk, who has had Murdock be disgraced and lose his job; blown up his house, and then tried to kill him. It’s all taking place at Christmas! 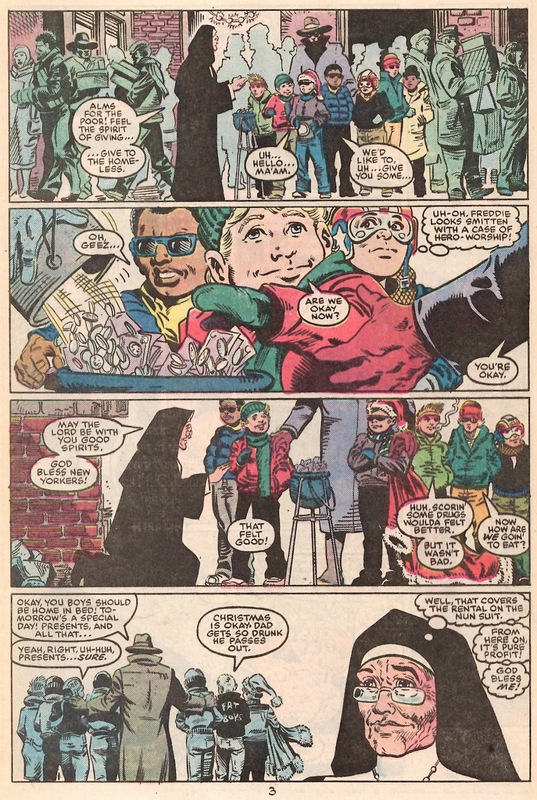 This comic had ads for M&Ms and MASK toys. 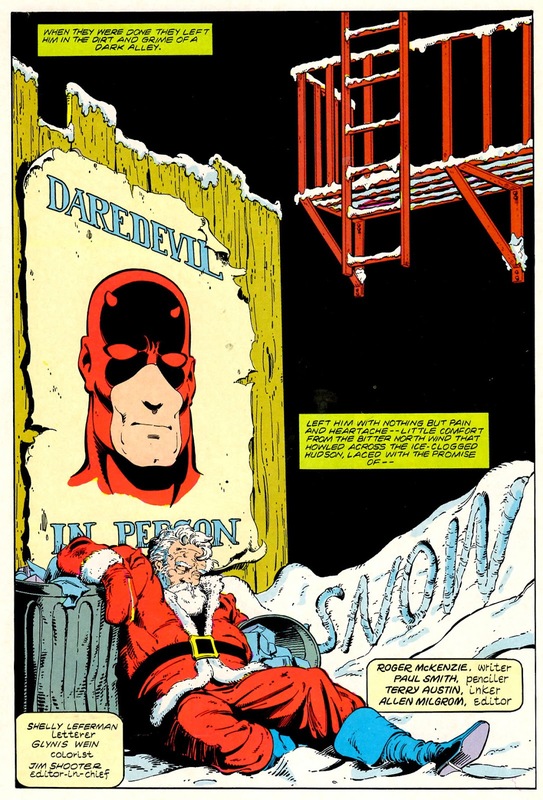 And fabulous art by David Mazzucchelli. 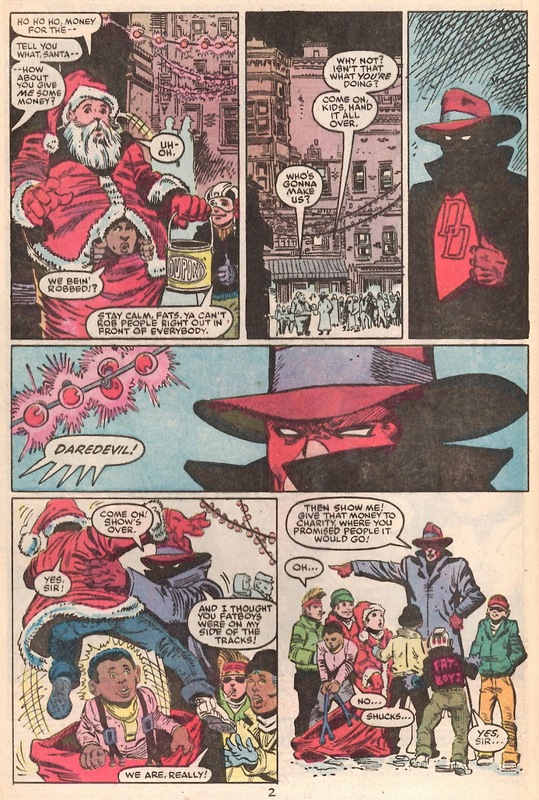 Miller was a very influential and popular writer and when he left Daredevil his were a difficult pair of shoes to fill. 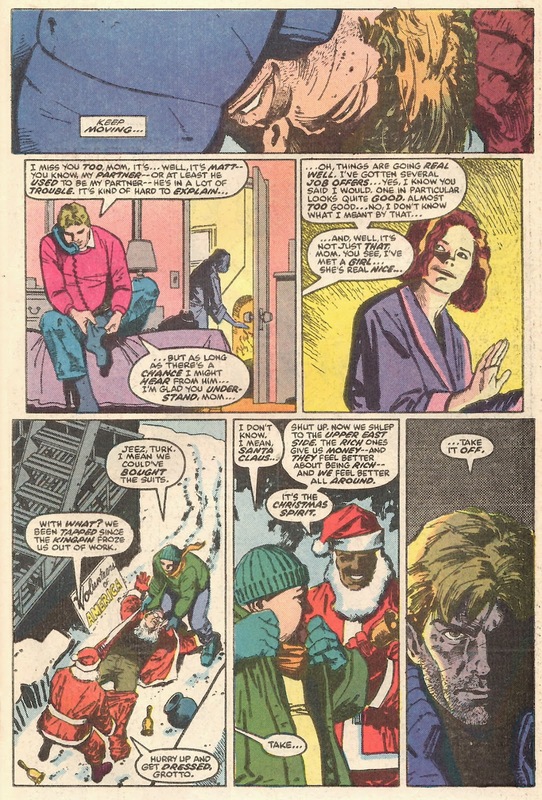 Ann Nocenti stepped in and did a great job. Her writing has characters who are rather philosophical, always thinking through the rights and wrongs of what they're doing and what’s going on around them. I’d previously read her on the Star Wars and Longshot comics and enjoyed those. As you can see, Todd McFarlane is starting to get work at Marvel Comics here. We were quietly entering the next phase of superhero comics. From Mazzucchelli to McFarlane in less than a year. 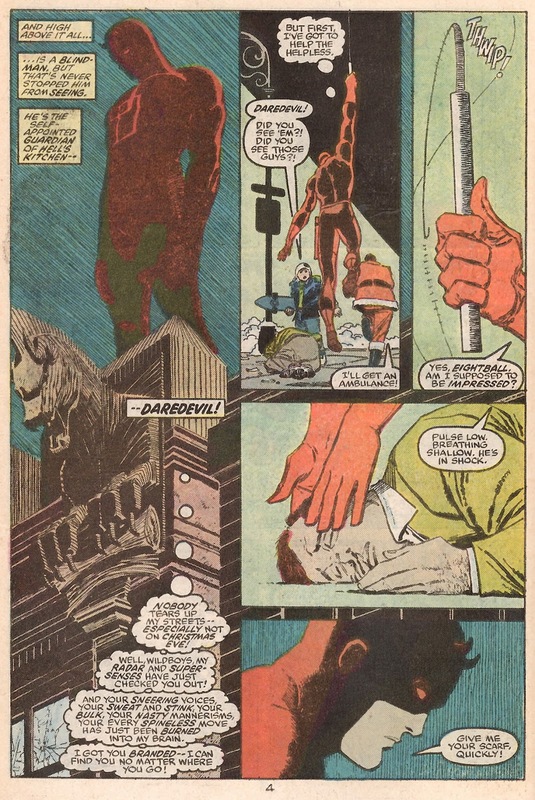 McFarlane moved on to The Hulk as a regular gig, and stepping in to Daredevil was John Romita Jr.
Inking there by the tremendous Al Williamson. 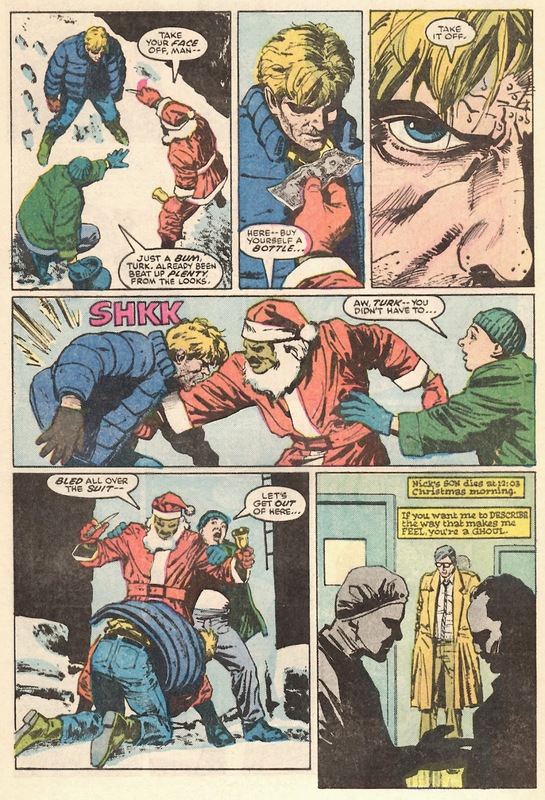 The comics look great, and are still continuing with Nocenti’s moral philosophising. 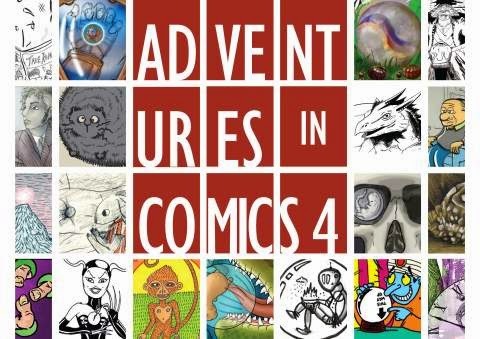 I have a two page story in the new issue of Adventures in Comics, which is out now. It's a very nice tabloid sized magazine with 60 pages of comics based on the theme of "The Orb". Gary Smith has written on an anthology I'm in - Treehouse #4 - over at The Big Glasgow Comic Page. Andy Oliver has written an interesting article over at Broken Frontier - the first of a series on the UK small press comic scene. It features some thoughts from me. Gary Smith has written on an anthology I'm in - Treehouse #3 - over at The Big Glasgow Comic Page.